Multi-awarded LG G5 and Friends “play” their way to the Philippines last April 28 at the Shangri-la Hotel in BGC. 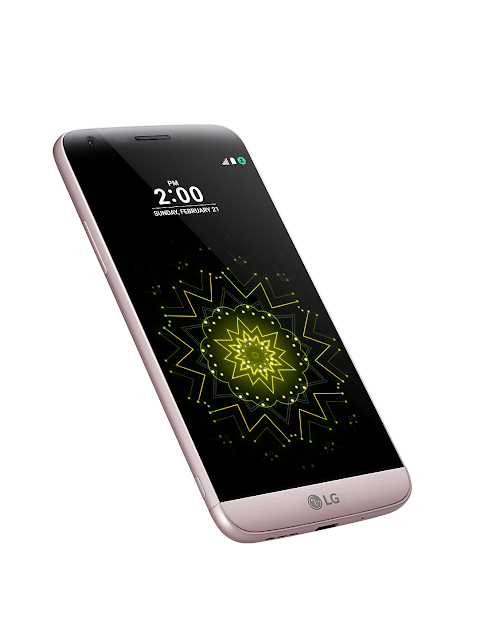 LG G5, the latest high-end smartphone from LG takes you a different level as it first the first modular smartphone in the country. The Mobile World Congress was blown away last February 2016 when LG Electronics first unveiled the playful LG G5 and Friends, the latest addition to the global technology innovator’s renowned G Series. This breakthrough innovation bagged a record-breaking number of 33 awards at what is known to be the mobile industry’s ‘Oscars’. Two months later, the celebrated smartphone found its way to the Philippines, making its debut in a grand launch in Shangri-La at the Fort. LG CAM Plus – This is a versatile camera module that can be attached through the battery slot to deliver a comfortable grip and convenient control of a standalone camera. The LG CAM Plus provides physical buttons for power, shutter, record, zoom and LED indicator. It also offers intuitive auto focus and exposure lock, features usually found in standalone digital cameras. When attached to the LG G5, it provides an additional battery capacity of 1,200mAh to allow for longer shooting enjoyment. LG Hi-Fi Plus with B&O PLAY – This is an innovative portable Hi-Fi DAC audio player developed in collaboration with B&O PLAY to meet the needs of those who enjoy top-notch sounds that are traditionally available in high-end audio devices. LG Hi-Fi Plus with B&O PLAY stands out for its simple yet elegant Scandinavian design and premium sound technology. In addition to the 32-bit Hi-Fi DAC up-sampling technology first introduced in the LG V10, it also supports 32-bit 384KHz high-definition audio playback. It can be used either as a module with the LG G5 or as a separate Hi-Fi DAC by connecting to any smartphone or PC. 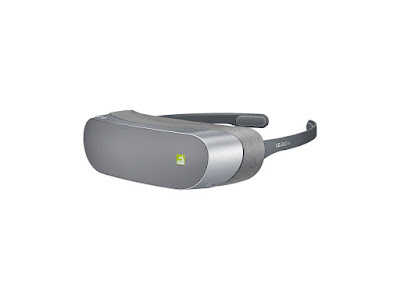 LG 360 VR – This is a VR goggle that can connect to the G5 via a dedicated cable and simulate a 130-inch TV viewed from two meters away. It has a stylish and foldable design so that users can easily carry and watch VR content anytime, anywhere. Unlike other VR devices that require smartphones to be inserted in the device, the LG 360 VR weighs only 134g and is less than half as heavy as competing VR goggles while delivering a resolution of 639 ppi. The device is compatible with 360-degree images and videos captured with LG 360 CAM as well as all Google Cardboard content. 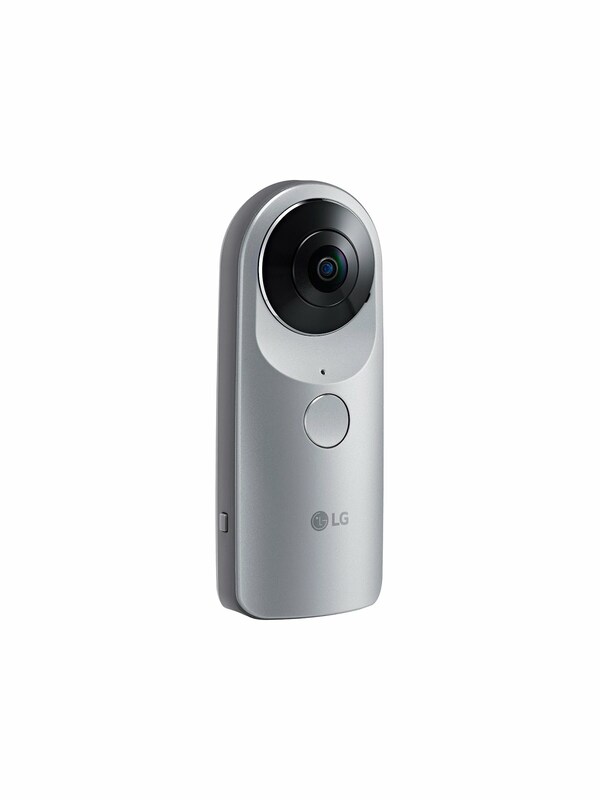 LG 360 CAM – This is a compact 360-degree angle camera equipped with two 13-megapixel 200-degree wide angle cameras, 1,200mAh battery and 4GB internal memory, which can be supplemented by a microSD card. It can easily connect to the LG G5 and provides 2K video and 5.1 surround channel recording on three microphones, letting users effortlessly create high-quality 360-degree contents. Thanks to the partnership with Google, images taken with the 360 CAM can be uploaded to Google Street View and YouTube360, adding the fun of sharing creative contents with others. The images will also be available to view on the LG 360 VR or other devices that are capable of 360-degree content. 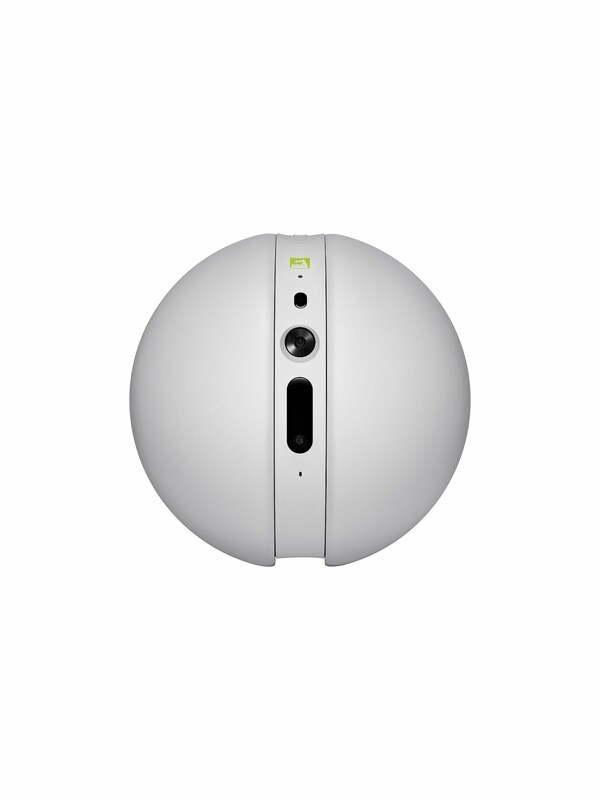 LG Rolling Bot – This is a companion device that rolls like a ball while capturing images and videos with its embedded 8-megapixel camera. It can be used as a monitoring system for the home, pet care companion as well as a remote control for compatible home appliances. With an IP camera connectable via Wi-Fi, users can remotely monitor the interior of their homes with the LG G5 via live streaming. 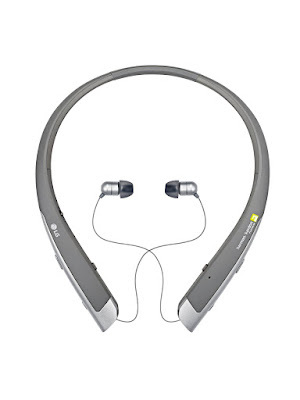 LG Tone PlatinumTM – The LG TONE PlatinumTM (model HBS-1100), the latest in the LG TONE Series, is a Bluetooth headset that has earned the Harman Kardon® Platinum grade for its superior sound quality. With a Balanced Armature design for minimum distortion, LG Tone PlatinumTM delivers exceptionally sharp and clean sound. It is also the world’s first Bluetooth headset equipped with aptX™ HDcodec, delivering lossless 24-bit audio for sound that is unrivalled in a wireless device. H3 by B&O PLAY – This is a set of high-end earphones that are compatible with the high-quality sound of the LG Hi-Fi Plus with B&O PLAY. Designed for audiophiles, H3 by B&O PLAY works with all Android smartphones. LG Friends Manager – This is the hub application that allows the G5 to connect with LG Friends with minimal fuss and effort. LG Friends Manager automatically detects nearby LG Friends and connects quickly and easily in three simple steps, eliminating much of the hassle of pairing devices. 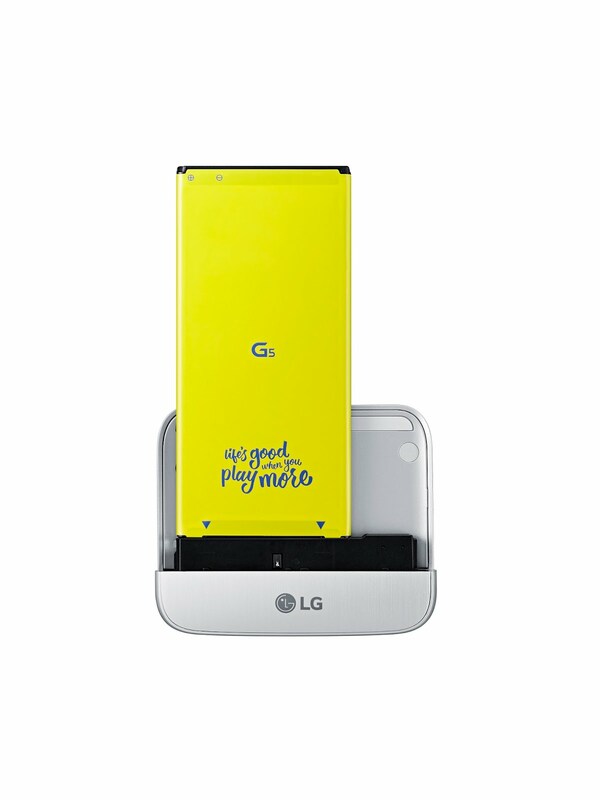 Always-on Display – The 5.3-inch Quad HD IPS Quantum display on the LG G5 offers an Always-on feature, the first on a main smartphone display. The concept of the Always-on Display was first introduced in the LG V10 as the Second Screen and now that feature has evolved on to the main display to show the time and date continuously even when the G5 is in sleep mode. This means that you can always see the time at a glance, even during important meetings or when your hands are full. 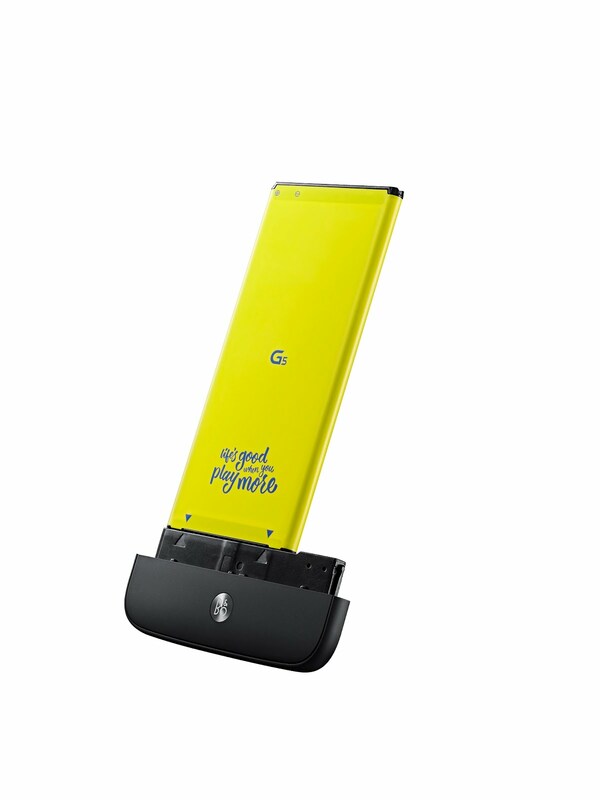 Qualcomm® Snapdragon™ 820 Processor – The LG G5 is equipped with the powerful yet energy-efficient SnapdragonTM 820 processor which offers advanced features such as 64-bit performance, Adreno 530 graphics, lower-power Qualcomm® HexagonTM DSP and Qualcomm Spectra™ 14-bit dual image signal processors (ISPs) designed to deliver high resolution DSLR-quality images and additional power savings. The Snapdragon 820 processor also has an integrated X12 LTE modem that supports Category 12 download speeds of up to 600 Mbps and LTE Category 13 uplink speeds of up to 150 Mbps. 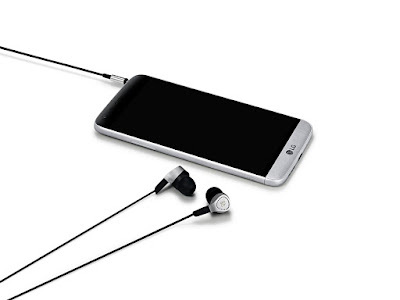 aptX™ HD: 24-bit Hi-Fi Wireless Audio – The LG G5 is equipped with aptX HD, an enhanced codec that supports 24-bit sound over Bluetooth, delivering rich and clear sound over wireless connections without any loss. When paired with the LG TONE Platinum, users can experience superb quality Hi-Fi audio that sounds amazingly close to the original source. Qualcomm® Quick Charge™ 3.0 – The LG G5 offers Quick Charge 3.0 for incredibly fast charging. By employing an intelligent algorithm, Quick Charge 3.0 is 27 percent faster and 45 percent more efficient than the previous generation. Low Power Location Estimation (LPLE) Technology – Thanks to this, LG G5 has excellent battery life. This solution enhances the battery efficiency by as much as 41.9 percent by improving the power consumption related to location-based apps. The LG G5 is now available in the Philippines in gray, titan, gold and pink, retailing for PhP 34,990.00. To “play more” with the LG G5, visit lg.com/ph, like LG Mobile Philippines’ Facebook page or follow @LGPhilippines on Twitter and Instagram.